Maybe you’ve heard of plantar fasciitis. Maybe you have been diagnosed with it. 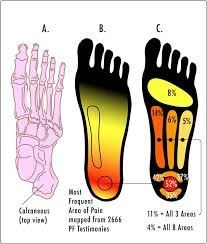 Maybe you’re wondering what your chronic or recurring foot and ankle pain is. Here are a few FAQs regarding Plantar Fasciitis. A: This is an injury caused by overuse that affects the sole of the foot. The tendon (fascia) that connects the heel bone to the bottom of your toes is typically swollen and tender. Many patients confuse plantar fasciitis with arthritis in the foot, ankle injuries and plantar’s warts, all of which can inhibit walking. Your health care team needs to diagnose plantar fasciitis definitively. A: The major symptom is pain in the foot and Achilles’ Tendon. Pain tends to be most acute after a period of not moving, so waking up in the morning is particularly tough. Q: Who is at risk for plantar fasciitis? A: Being overweight can be a risk factor for plantar fasciitis. Also at risk are people who do a lot of walking or running on hard surfaces (so city dwellers who walk on sidewalks for several miles a day are at risk as are warehouse workers who are on their feet on a hard concrete surface.) The “tightness” of your Achilles’ Tendon also contributes to plantar fasciitis. Finally, foot anomalies like flat feet or high arches can also contribute to many foot issues including plantar fasciitis. Q: Can plantar fasciitis be treated? A: Firstly, it’s really important to treat plantar fasciitis, because it typically does not resolve on its own. Patients often curtail their physical activity and unknowingly change their gait to try to compensate for the pain, which can lead to back, knee, leg and hip issues. A: Physical therapy is actually the most effective and also the most cost effective treatment. Learning the specific stretches to relieve and prevent plantar fasciitis can make an enormous difference. These exercises should be done in the evening and in the morning. Some patients also find relief from applying ice to the sore area. Other patients find foot massages to be helpful in reducing pain as well as reducing stress. In addition, over the counter non-steroidal anti-inflammatory drugs like ibuprofen (Motrin) or naproxen sodium (Aleve) can also provide relief. Your health care team may also counsel you to change or alter your footwear, particularly if you have high arches or flat feet, so that your sole gets better support. In serious cases, steroid injections may be advised. In the most serious cases, surgery may be necessary. Plantar fasciitis can be painful, but it is treatable. Talk to your pain specialist team for a definitive diagnosis and a treatment plan. 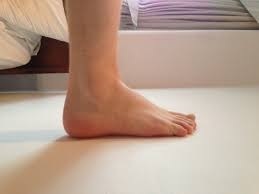 Last week’s blog was about the possible causes of ankle pain and how best to diagnose it. This week, we will discuss ankle pain treatment. Ankle pain can be treated with various modalities: medication, fracture repair and physical therapy are the most commonly-used tools. Nonsteroidal anti-inflammatory drugs (NSAIDS), which can be particularly useful if the underlying condition is arthritis of all forms. Steroid injections into the affected joint is also utilized for arthritic ankles. Pain medications like aspirin, ibuprofen and naproxen sodium can be used, with supervision. Splinting and/or bracing a broken ankle. Surgical repair, including the insertion of a metal screw and/or metal plate to fortify a joint that cannot heal on its own. Sometimes ankle fusion is also recommended, although this limits mobility forever, but can be quite effective in lessening chronic pain. Ankle arthroscopy is a less invasive surgery, where a narrow instrument can be utilized to remove small segments of cartilage or bone chips or even to tie or repair a torn ligament. Physical Therapy to Combat Ankle Pain is really important. Your ankles bear the weight of your body and their appropriate, relatively pain-free functioning is the key to lifetime mobility. Ankle pain can be debilitating. A proper diagnosis of the cause and a multifaceted approach to easing pain including medication, surgical options (as a last resort) and physical therapy can be a very effective combination. Ankle pain is not unusual. Some people perceive that they have “weak ankles” and are prone to twists and sprains. Others notice a gradual change in their ankle pain and functioning. The ankle is actually a complex joint between three bones: the tibia, the fibula and the talus with bands of ligaments that connect the bones. In addition to the bones and the ligaments, several tendons traverse the ankle. The tendons connect the muscles of the lower long to the ankle and foot bones. The most famous of these tendons is the Achilles tendon. Sprains, which occur when ligaments are overstretched typically as a result of an injury or fall, often a missed step. Broken ankles: these fractures are actually quite common, again, usually the result of a fall or missed step, sports injury or traumatic event like a car accident. Rheumatoid arthritis affects the synovium, which lines the joints, causing pain, swelling and immobility. Most people with rheumatoid arthritis have ankle issues. Osteoarthritis, which contributes to a deterioration of the cartilage in the joints. As this cartilage wears away, the bones rub against one another, and can cause pain, swelling and immobility. Gout is another type of arthritis which can affect the joints and is caused by a buildup of uric acid throughout the joints of the body. Lupus, an autoimmune disease, often affects many joints, Although many forms of arthritis and related conditions can affect the ankles, the most common cause of ankle pain is a sprain. A sprain occurs when the ligaments that support the ankle become stretched or torn. Here is what you need to know about sprained ankles and some other common ankle injuries. Your health care team will evaluate your pain, your mobility and the circumstances that surrounded your ankle issues. They will then order a series of exams including x-rays and perhaps other diagnostic tools to determine their next steps. It is very important for a physician to distinguish between sprains and fractures of ankles because they often present themselves in a similar fashion.